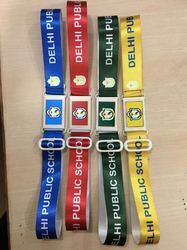 Providing you the best range of satin school belt, kendriya vidyalaya belt, printed school belt, blue color school satin belt, washable school belt and colored school belt with effective & timely delivery. 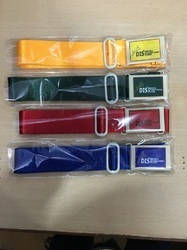 We are a company which is engaged in the manufacture and supply of a wide range of school uniform accessories for various schools and they are inclusive of a wide range of School Belts which are available in a range of colours, designs, sizes and they offer a high performance to the customers. 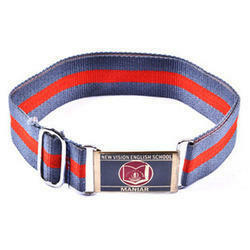 We are engaged in manufacturing a wide range of Kendriya Vidyalaya Belt in the market. 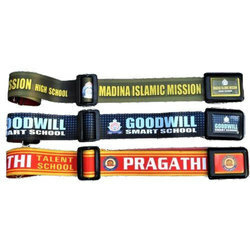 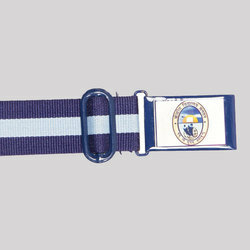 We are offeirng a great range of Printed School Belt to our clients in the market witht the best price range, which have been made using the best technology available in the market and they have been made using a high quality of raw materials which have been bought from well known vendors in the market.